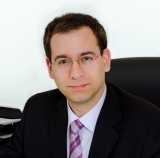 Dr. Zogopoulos Panagiotis is a neurosurgeon specialized in medical acupuncture. He is currently the Chief of Medical Acupuncture Department at Metropolitan hospital (Athens, Greece). He has completed his PhD at the University of Athens (School of Medicine) and has received advanced clinical training (clinical research fellowship) at the Neurosurgery department of Osaka University hospital in Japan. He has published a large number of papers in various international scientific journals. Medical acupuncture is a treatment modality with well-documented effects on a variety of symptoms, diseases and syndromes. Over the last years a large number of experimental and clinical studies, as well as meta-analyses, have shown that medical acupuncture can balance various metabolic disorders, such as hyperglycemia, hyperlipidemia, hyperphagia and disorders in insulin targeting pathways, which all contribute to insulin resistance development. Insulin resistance is associated with obesity, diabetes type 2, hypertension, polycystic ovary syndrome and metabolic syndrome, as well as increases the risk of cardiovascular disease. Experimental studies have shown that acupuncture and, its most potent form, electroacupuncture, can reduce insulin resistance. Furthermore, clinical studies on women with polycystic ovary syndrome have shown that acupuncture can significantly reduce insulin resistance. This beneficial effect of acupuncture on insulin resistance is mediated by an increased expression of insulin signaling molecules, like IRS1 (Insulin receptor substrate 1), IRS2, Akt2/PKB (Protein Kinase B) & GLUT4 (Glucose transporter type 4 ) or by a decreased expression of others, like PI3Κ-p85α (Phosphatidylinositol-3-kinase – p85α subunit). Conclusively, medical acupuncture is an effective and safe adjunctive treatment of insulin resistance in patients with metabolic syndrome or other disorders, such as diabetes, obesity and polycystic ovary syndrome.